Trade professionals know that if a client is concerned with immediately improving the value of their home, one of the best ways to do that is by remodeling the bathroom. ProSource® of Madison offers trade pros the products and materials they’ll need to completely transform their client’s bathroom and add tangible value to their home. A drop in bathroom sink, while practical, may not be the stylish addition your client is looking for. For a wide variety of sinks in a range of materials and colors, visit ProSource. You’ll find undermount, pedestal, vessel, and wall hung sink options in our showroom. The faucet in your bathroom is a seemingly humble addition but can make a major impact on the appearance of the entire space. At ProSource, trade professionals and their clients will find bold and stylish fixtures and more reserved and subtle faucets. 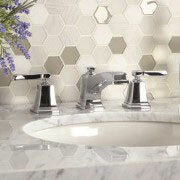 While tub and shower combinations are common in many homes, many clients are asking for the luxury of a step in shower. To provide them this sought after feature, visit ProSource of Madison. Our bathroom designers can help you find the shower doors, handles, heads, and other accessories that can create a beautiful new shower. When you’re completely remodeling a client’s bathroom, selecting a new vanity is a unique and stylish way to add storage to the space. 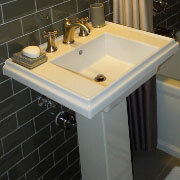 You can place your client’s new sink and faucet on or in the vanity. 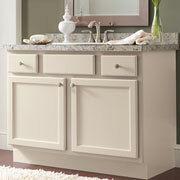 Our showroom is filled with freestanding and built-in vanity options that would look great in any home. Your clients are not limited to cumbersome clawfoot bathtubs anymore. 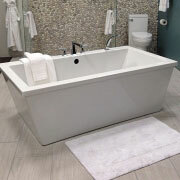 Modern tubs are made from gorgeous materials like marble and cast iron and come in a wide variety of sizes and shapes. Find a new bathtub for your bathroom remodeling project at ProSource. Your client shouldn’t have to suffer a leaky toilet with a loose handle anymore. Offer them a new, energy efficient model from our showroom. 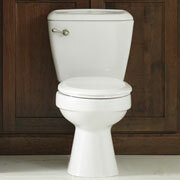 Putting a new toilet in during a remodel is the perfect way to tie the appearance of the bathroom together.